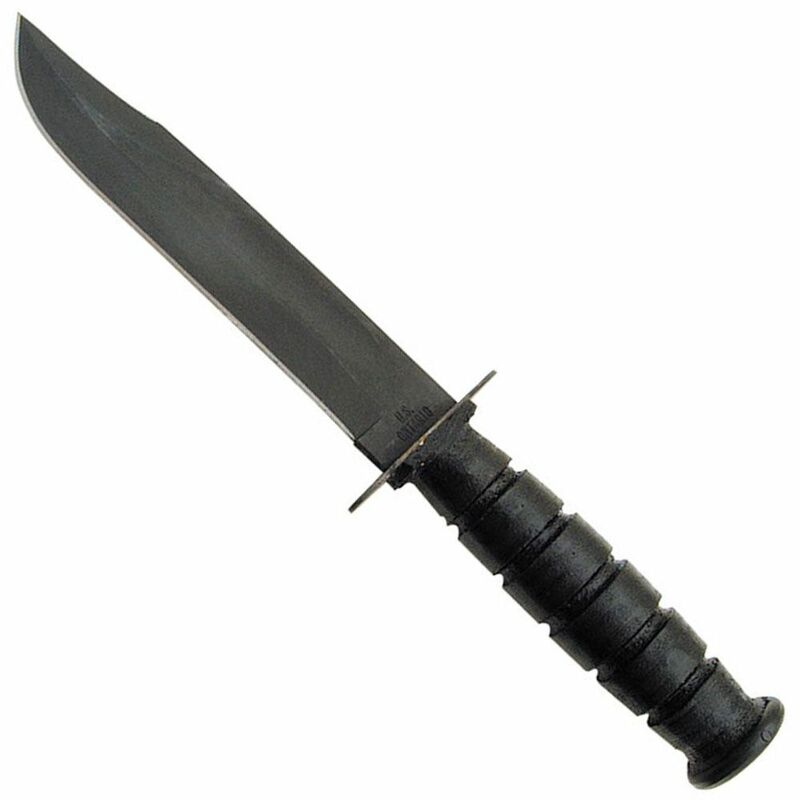 The 498 Marine Combat Knife from Ontario Knife is issued and used exclusively by the U.S. Marine Forces. Situated in New York State's scenic Southern Tier, Ontario Knife Company produces one of the most comprehensive, wide-ranging product lines in the cutlery industry today. While being a worldwide supplier, the Ontario Knife Company is also a major supplier to the U.S. Government and its military. Ontario has built its reputation on a heritage of uncompromising craftsmanship, quality materials and components, and a steadfast commitment to its workforce. Non-reflective black zinc phosphate finished blade. Blade is hardened to 55-58 HRC. 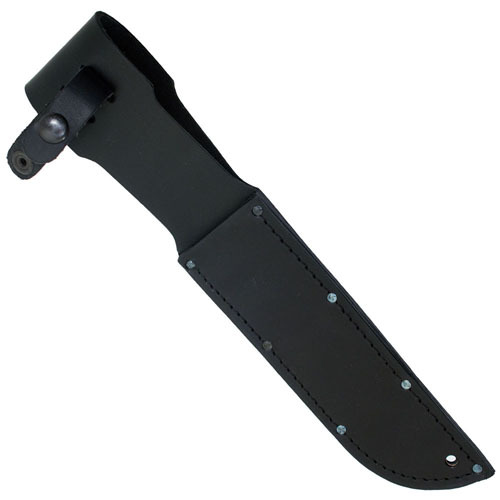 Handle is made from weather-proofed black leather. Includes a steel buttcap. Includes leather sheath.